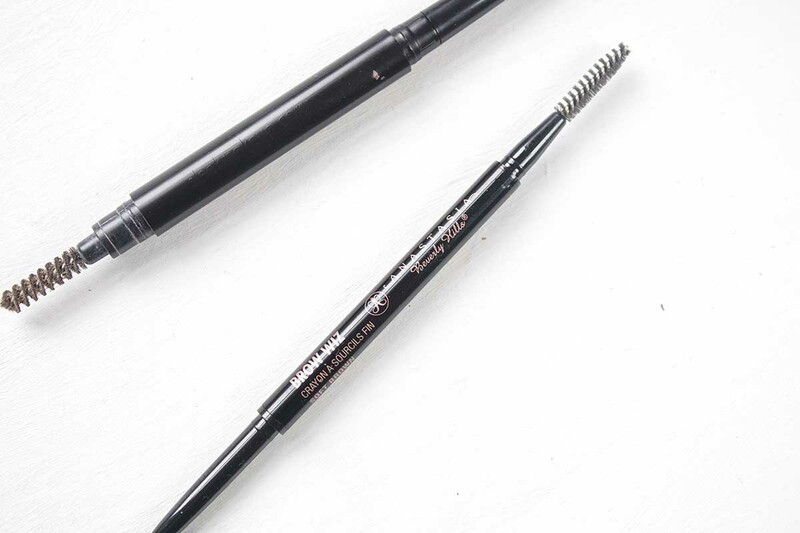 I tried pretty hard not to buy into the Anastasia Beverly Hills Brow Wiz hype, even whilst everyone else was singing the praises of both this and the Dipbrow Pomade, I was adamant to stay either low budget or just spend that extra time working a powder into my brows for a similar effect. Then, one dreaded day, my Sleek Brow Stylist simply broke – the wax snapped clean off and what remained was a stub that couldn’t even be wound up. 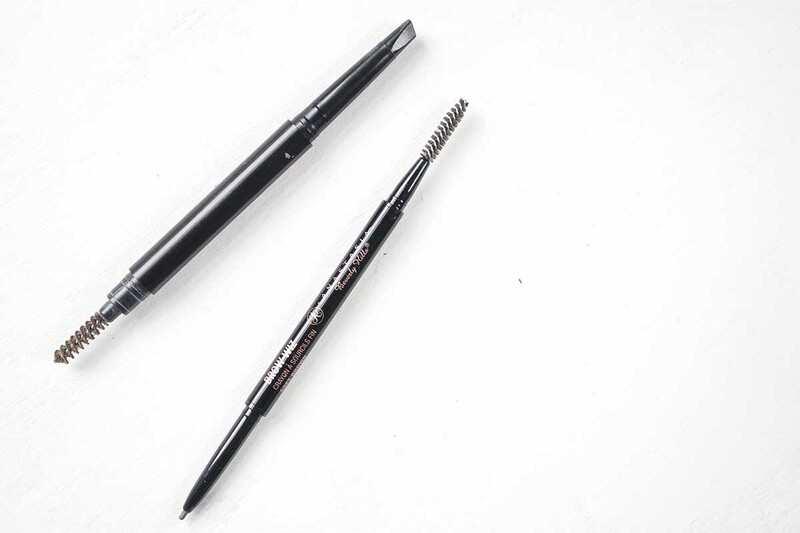 Traumatised as any brow lover would be, I was resigning myself to the old powder and brush when the stars at Blow Ltd swooped in to save the day, finally pulling me onto the Anastasia bandwagon (there wasn’t much struggle, I welcomed beautiful brows with open arms). How does Anastasia Brow Wiz compare then? Seeing as I was so in love with my Brow Stylist, I was interested to see how it compared in term of the nib and colour, and honestly it knocks it out the park. Yes, Sleek is an amazing dupe, but if you love your brows then you will love what Brow Wiz can do in transforming them from meh to full, thicker looking natural beauties. Mine are quite dark but gappy in areas – thanks to the over plucking, don’t do it guys – so I tried out Soft Brown* on Anna‘s recommendation as we’re similar in colouring and brow shade, and it’s the perfect dark yet ashy brown; you can fill your brows in easily thanks to the incredibly thin wax nib, creating very natural light strokes which ensure you never go overboard – one thing that could happen with the Brow Stylist unfortunately. Aside from the fact the range of colours is pretty spot on, the wax is effortless to work through the brows, plus the spoolie is an absolute dream; the brush hairs are close together so you can really shape and brush through the colour, giving an even softer edge to the overall shape and arch guaranteed to make you feel like you have brows to (closely) rival Cara Delevingne or Lily Collins – my brows have honestly never looked better, and I’m now dangerously in Anastasia’s debt until the end of time. As if it wasn’t enough for Blow Ltd to introduce me to my new cult brow product, they’ve given you lovely lot a special discount for their website! If you pick up anything from the Fast Beauty range, just enter the code BRITTONLOVES when you spend £50 and you’ll get £10 off all orders – I’ve spied Fairy Drops Mascara plus the new Laura Mercier Foundations, so you won’t be short of things to pop in your basket – pop in some Brow Wiz for me though please? Brows deserve some loving, and if you want to make your look spectacular whilst being easy to fill in and shape, then you need to add Anastasia Brow Wiz to your wishlist right now. Once you go Anastasia, you can never go back…. What’s your favourite brow product? Have you tried Anastasia Brow Wiz?